AMC series “Preacher” had its world debut last week at the SXSW film festival in Austin, TX. Seth Rogen introduced the pilot episode to a roaring crowd buzzing with excitement for this show, which is based on Garth Ennis’ comic series from the 1990s. Seth Rogen, Evan Goldberg, and Sam Catlin are bringing this fan-favorite to TV screens, which has been a process more than a decade in the making. 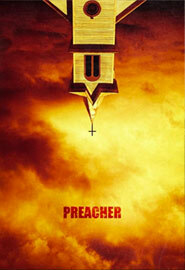 The FuseFX crew has done some incredible work on “Preacher,” which premieres May 22 on AMC – stay tuned!